With the crowd laughing and cheering at a rally in Southaven, Miss., President Trump attacked the credibility of Christine Blasey Ford and mocked her as.."I don't know"
VietPress USA (Oct. 2nd, 2018): Today on Tuesday at a rally in Southaven, Miss., President Trump attacked the credibility of Christine Blasey Ford, one of three women who accused his Supreme Court nominee Brett Kavanaugh of sexual assault. With the crowd laughing and cheering his impression of Ford, Trump then turned serious. President Trump is done playing nice with Christine Blasey Ford. 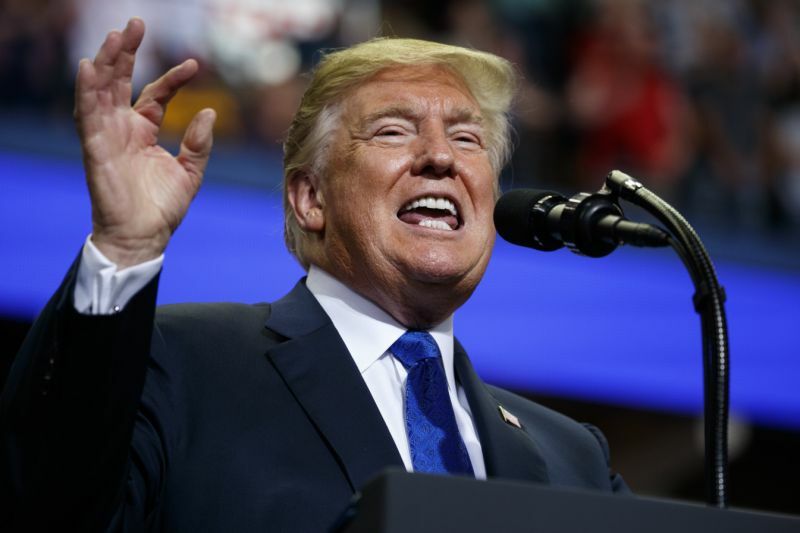 At a Tuesday rally in Southaven, Miss., Trump attacked the credibility of Ford, one of three women to accuse his Supreme Court nominee Brett Kavanaugh of sexual assault. Trump’s comments marked a departure from his strategy of avoiding any criticism Ford’s testimony before the Senate Judiciary Committee. Hours after Ford detailed her allegation of Kavanaugh’s drunken sexual assault at a party when the two were in high school, Trump offered Ford praise. Trump came to Mississippi to try to avert an embarrassing loss in the Senate for Republicans in the deep-red state, throwing his weight behind incumbent Sen. Cindy Hyde-Smith. Facing a three-way race between Democrat Mike Espy and far-right Republican state Sen. Chris McDaniel, Hyde-Smith basked in the president’s support. Trump, however, spent far more time discussing Kavanaugh’s confirmation process than Hyde-Smith’s candidacy. Earlier Tuesday, Trump praised Kavanaugh as “an outstanding person” who has been “very brutally treated,” and lamented what he described as an unfair playing field for men in the #MeToo era. The F.B.I. is currently looking into the allegations against Kavanaugh and is expected to wrap up its investigation this week.